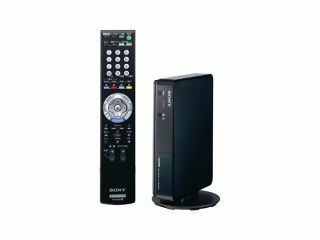 The BRX-NT1 set-top box is key to streaming online HD TV content so a Sony Bravia TV. We recently speculated that YouTube might one day soon be delivering high-definition online video instead of the grainy clips that proliferate now, but Sony Japan's eyeVio video-sharing site has beaten the Google company to the punch by starting an HD TV service yesterday. EyeVio HD sounds suspiciously like an alpha, rather than even a beta, service to us but it does offer a few 1280 x 720 high-def flicks in combination with Sony's new BRX-NT1 network set-top box, which sells for ¥27,800 (£123). The idea is that the smattering of HD TV content now on the eyeVio site can be streamed from the site through the BRX-NT1 to a suitable Bravia television set, rather than watched on a PC. So far, only a dozen or so animated titles are available and all are, of course, in Japanese, although they are free to view.